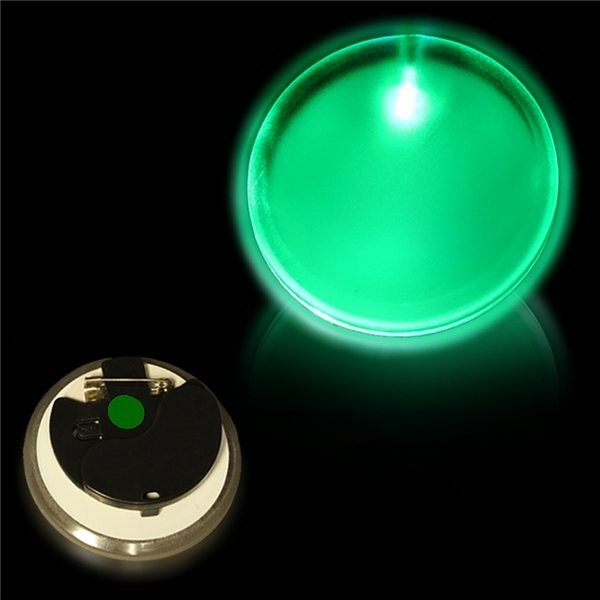 These Green Light-Up Pin Badges from AnyPromo are white 2" diameter buttons with green LED lights. The promotional LED buttons have three modes: slow flash, fast flash, and static light. 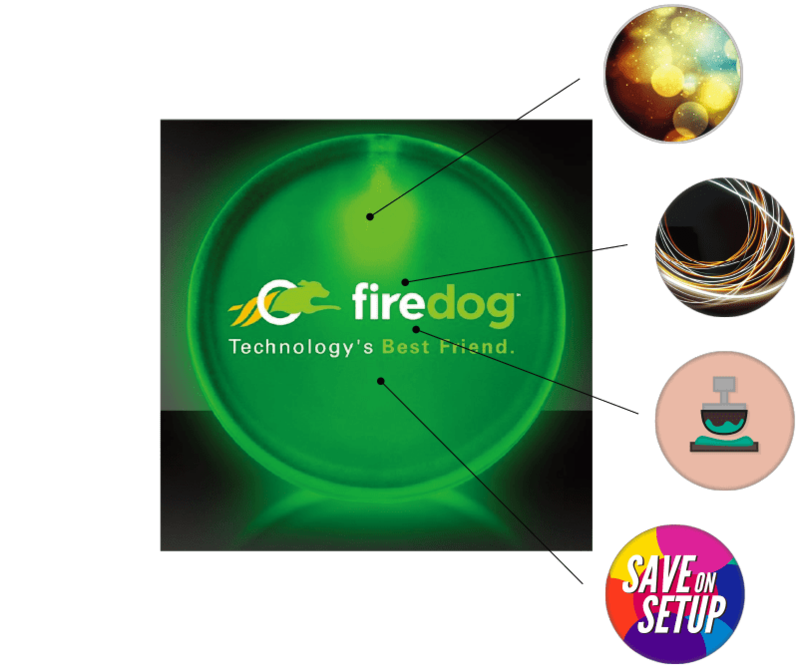 Available with Pad Printing (on an imprint area of 1 1/2" diameter) or 4 color process CMYK printing (on an imprint area of 1 3/4" diameter). Note:LED Button is white with a colored LED.